Dessa again?! Yes. Yes indeed. Dessa's Homespun Scents on deck. But just a few, just a few. Only wanted to sample the new fall wares and grab a bag of two that I really wanted. Pumpkin Cider Lane throws strong and full of creamy caramel, mac apples and a touch of pumpkin. Very nice. 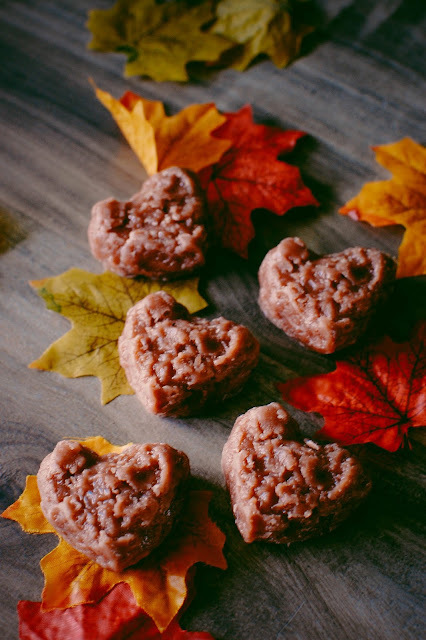 Pumpkin Coconut Macaroon has a stronger almond note and a little sour coconut cream tone. Not much pumpkin right now. Probably not one I will enjoy. Pumpkin Wreath Woods is rustically beautiful. 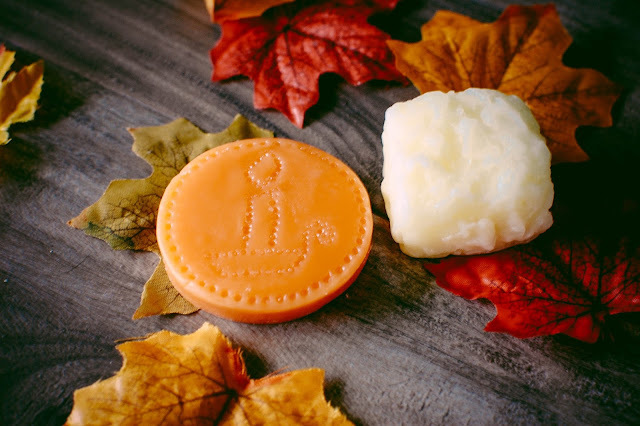 The pumpkin is a creamy pie with little spice and there is a lovely musky woods in which to enjoy the pumpkin pie with whipped cream. Love. Cranberries and Pine reminds me of my beloved Rosegirls' Cranberry Lodge. Softly spiced stewed cranberries and Christmas trees in the background. Dashing Through the Snow smells like a milder version of Bath & Body Works' Winter scent. And it has the cutest little sprinkling of blue sugar crystals. Christmas Eve is actually pleasantly unique. Juicy dark plums and heavy on the berries: cranberries and maybe a berry medley. Airy evergreens are in there too but not in a heavy way. Blended excellently. Autumn Wreath Harvest is a dupe for Yankee Autumn Wreath, one of my favorite Yankee scents, but it is a little light and crayon-ish for me. I will still melt it to see if that burns off. Cedar Wood evokes a damp forest. Not your average pencil shaving cedar here. With the bark and woods and leaves, there accompanies leaf litter, soil and earth. Wonderful. 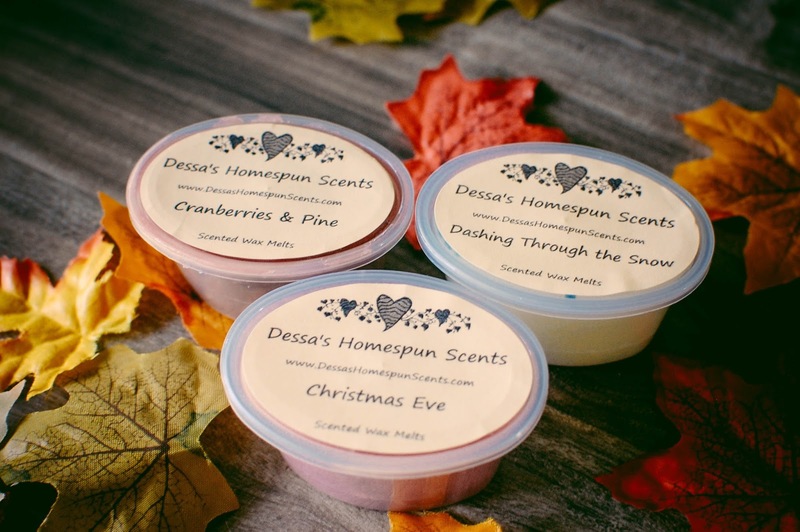 Smoky Mountain Berries is a scent Dessa knocks out of the ballpark. 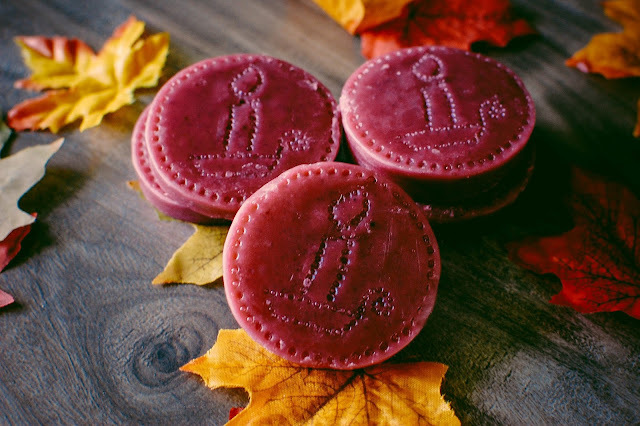 Vibrant cranberries, vanilla, bayberry and evergreen build this one into a wonderful Christmas scent. It throws strong. I made my sister a melting basket when she house sat during our vacation and this was the one she said she loved when we got back. It really is phenomenal. Haunted Hollow was a scent blend request I made of Dessa a little while back and she sweetly created it for me. I was dying for a cedarwood and cinnamon fragrance and this one fills that void. The same earthy cedar wood is warmed by spicy cinnamon and the name is perfect. It threw medium in my kitchen and living area. I will be buying more. Pumpkin Paradise is one for folks who do not like spice. All pumpkin with vanilla cream and a buttery pie crust. Delish. A Butter Shortbread scent that I gifted already, but I remember it bringing to mind sugar cookies. Apple Harvest is a bushel of fresh Macintosh apples, no spice and lots of golden syrup sweetness. A really pretty scent and a nice take on apple without the cinnamon. Pumpkin Cookie Crunch is a little light on cold. I pick up some bakery, soft pumpkin, and a touch of that cardamom. 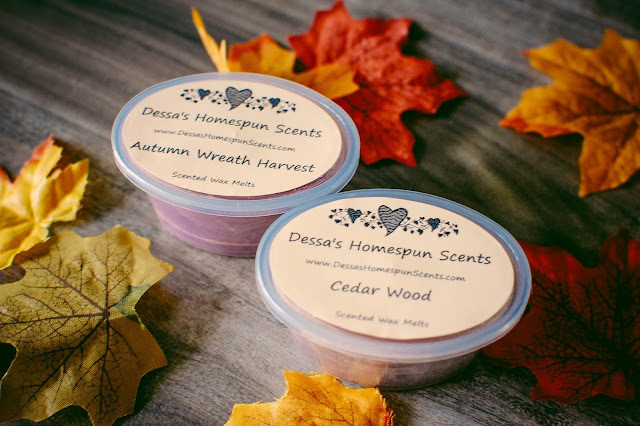 Another happy Dessa's Homespun Scents order. Have you tried her wax yet? 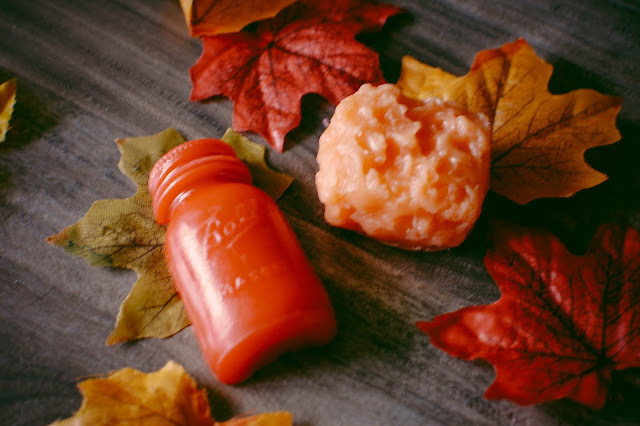 If you love fall and winter scents, you should take a look at her scent list! Superb. I am late once again on my Fall Fun Series. I will be posting my Fall Recipe tomorrow and then Monday's post will be on Tuesday more than likely just so they aren't back-to-back. I promise I will get my junk together. I had ideas of baking after work one day during the week but that just didn't pan out. So lazy Saturday baking it is and it will feel better and less rushed. What are you up to this weekend? I still have not tried Dessa's yet but she is on the top of my "to order" list. I've heard nothing but great reviews about her wax. Haunted Hollow sounds amazing! 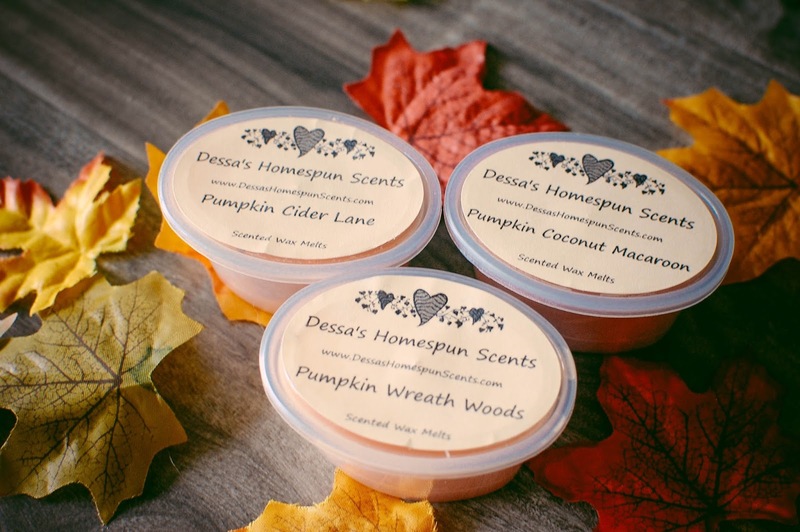 I love it when vendors create special blends for customers and also when they have other scent offerings than just bakery and fruity. I love earthy and masculine scents too and it's sometimes hard to find those types on vendor scent lists. Happy October to you too! It seems this year is just flying by! She is pretty great! I love it when they take in their customer's ideas too. Makes it very personal. It definitely can be hard to find non-fruity and bakery scent. I am like you and enjoy a good variety. This year is certainly flying by!!! The teachers and I were just exclaiming over how crazy fast it is going. If you decide to try Dessa, let me know what you think Renee!